For these 10 prominent politicians, I believe events this year seal their fates. For all practical purposes their careers are over. 10. Tariana Turia: On her way out. Presiding over the imminent death of her Maori Party. Trying to force out her co-leader was clumsy. Was the deal she got with National over the foreshore and seabeds any different from what she was offered by Labour? Does anyone remember or care? 9. Brendan Horan: Political career stillborn. He didn’t understand rumours of him spending a little old lady’s money was a bottom line for Winston Peters. After all, little old ladies are NZ First’s core constituency. 8. Maryan Street: Hasn’t landed a single blow on her opposite number. The only time she got a mention was on her private member’s bill on euthanasia. I would have thought killing a patient wasn’t the best way to make your name as health spokesperson. She’s lucky Labour has a shortage of experienced women. 7. 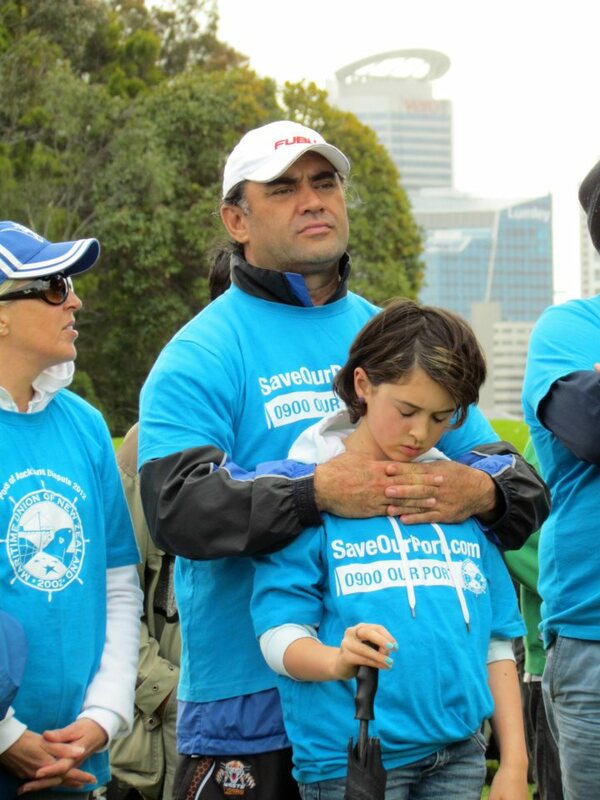 Nanaia Mahuta: Pretended to be a serious contender for the deputy leadership. Got education job instead and was never heard of again. Chris Hipkins now does all the lifting for Labour in education. Other employees get sacked for stealing their wages. So should she. 6. Tau Henare: Humiliatingly hawking himself for the Speaker’s job to his political enemies because his own party wouldn’t support him. When you started life as a working class hero and morph into someone who publicly offered to sweep the floor for Don Brash, there’s nothing else to say. Referred to these days as Uncle Tau. Sad and embarrassing. 5. John Banks: The guy from Struggle Street who spent a lifetime building a solid public reputation. Now the so-called Act leader is a pariah. There are things worse than death. Being a sniggering political joke comes close. Tragic and pathetic. 4. Pita Sharples: Being publicly shafted by his co-leader and his overly cosy relationship with the National leader makes his future bleak. It’s true that nice guys come last. His friends should beg him to retire with dignity. 3. David Cunliffe: This guy went from Helen Clark’s less-than-secret choice for leader to where even his closest allies pretend they don’t know him. Everyone says he’s smart. So why was he so easily out-manoeuvred and dispatched to the backbench without any internal backlash? The public have rewarded his leader and party by boosting both in the polls since. Disconnected from reality? 2. Hekia Parata: Just a train wreck. Spin will get you in the door but hard work and talent keeps you there. Everything she touches turns to shite. It’s her arrogance and lack of self-awareness that give her supreme confidence. Even the Prime Minister, master salesman himself, must see an incompetent bungler who will bring the whole party down around her. Cut her quick. 1. 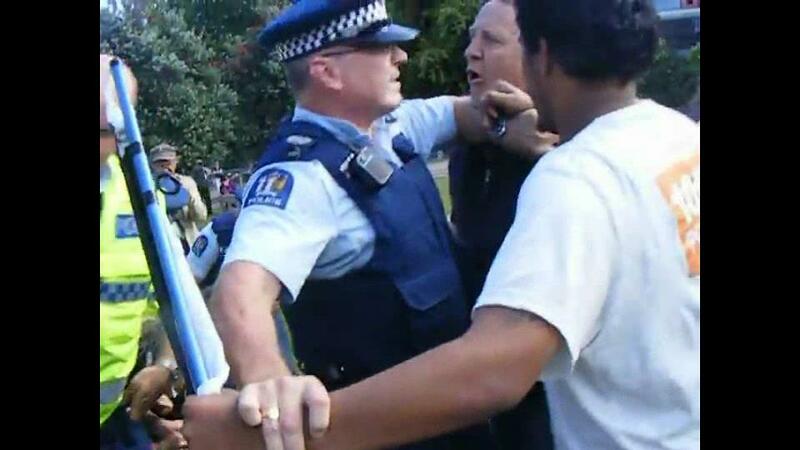 John Key: This year has finished him. His evasiveness over Kim Dotcom, his shonkiness over the SkyCity casino deal to give more pokies for a convention centre, his weakness managing his ministers and his forgetfulness on details of his job is starting to form real doubts that he’s on top of his job. We like nice guys but we expect them to know what they’re doing. This is the year he became a two-term prime minister. 2012 was a hard year for many people. It didn’t need to be so hard. Bill Rosenberg, CTU Economist said “yes, we live in difficult times, but government policies should be judged by how it dealt with those difficulties, not by the lazy criterion: “we muddled through”. 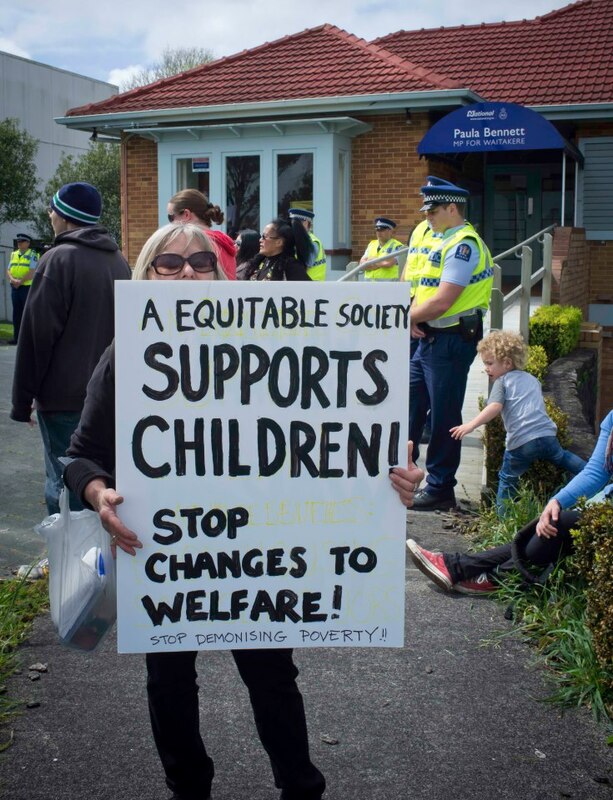 · We saw income inequality reach its highest ever in New Zealand despite increasing international evidence that it drives many economic and social problems. The Ministry of Social Development also showed that in 2011 two-thirds of households had falling incomes. Median weekly incomes in 2012 had their smallest increase since 1999. · Levels of poverty among children continued at levels described by experts as “unacceptable” when our aging population makes it more important than ever that we should be helping all our children make full use of their abilities for their own and society’s wellbeing. · A just released report from the Tertiary Education Commission showed that student numbers fell by an astonishing 11% in 2011 at a time when we should be increasing skills and encouraging people into education and training. 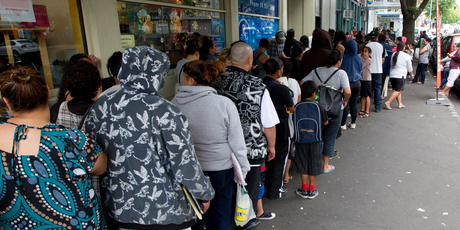 · Unemployment reached a high of 7.3 percent not seen since 1999, deteriorating from 3rd lowest in the OECD in 2006 to 15th lowest, with many more jobless or seeking more work, despite New Zealand escaping the bank failures that hit other countries. It is now not far below the falling 7.7 percent rate in the US – the heart of the bank failures. · The economy continued to stagnate, with little sign of rebalancing away from reliance on property investment and low value commodity exports towards productive high-wage high-value industry and exports. · Moving from employment relations which see workers and good pay, job security and working conditions as costs to be reduced, to treating workers as valuable assets and encourages collective bargaining, skill creation, and cooperation between unions and employers to increase productivity as a way forward – as it is in the highly successful Nordic societies. It should be scrapping its proposals to further reduce work protections and union rights. · Taking its focus off an unrealistic budget surplus target to job creation, raising benefit levels to take children out of poverty, encouraging more people into tertiary education including industry training, building more good quality low cost houses and increasing the quality of private rental housing, providing food in schools, and taxing high incomes and capital gains (excluding the primary home) to bring in more revenue and reverse growing gaps between rich and poor. · Greatly expanding programmes to assist people who are jobless through community job schemes, more help in retraining, matching skills to jobs, and relocation assistance. · Assisting manufacturing and other local employers through government procurement, expanded support and funding for research and development, export marketing, and venture capital to create good jobs. · Intervening to manage the exchange rate to make exporting more profitable and less risky. The CTU wishes everyone a safe and happy summer holiday, and wants to remind workers of their rights during the holiday season. This includes wages, health and safety, but also leave entitlements. Employers can, and often do close down over the Christmas- New Year period. They can only do this once every 12 months, but they can require employees to take annual leave to cover the time. The employer must give workers at least 14 days’ notice if they intend to have a close down period. Unions will be able to assist with queries as will the Labour Department. Peter Conway said that the best protection for all workers is to join a union, be covered by a negotiated collective employment agreement, and speak up over any workplace issues. Or see http://www.dol.govt.nz/er/holidaysandleave/publicholidays/index.asp for further information. 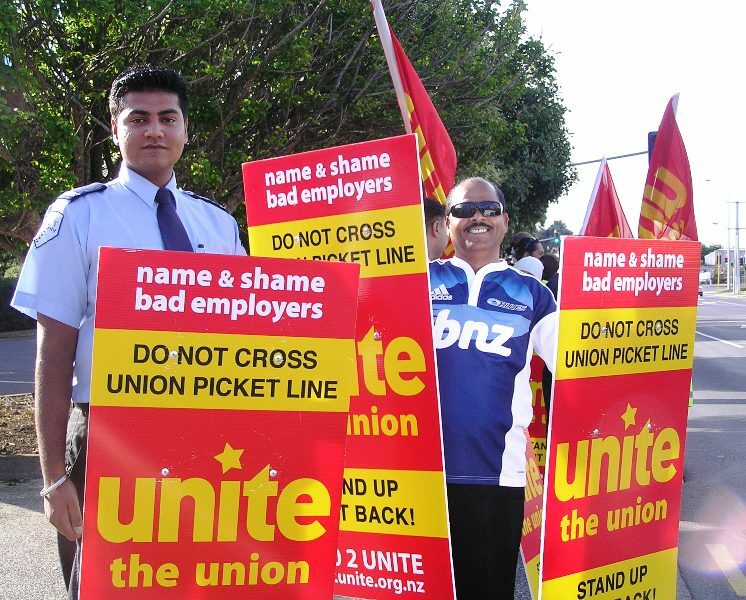 The Employment Relations Authority has fined the Ports of Auckland $40,000 for illegally employing strike breaking contractors during industrial action at the Port earlier this year. Ports of Auckland Limited (POAL) broke the law when they employed an overseas engineer at the cost of $10,000 a week to undertake the work of MUNZ members. In addition, local contractors were illegally used to carry out engineering work at the Port. 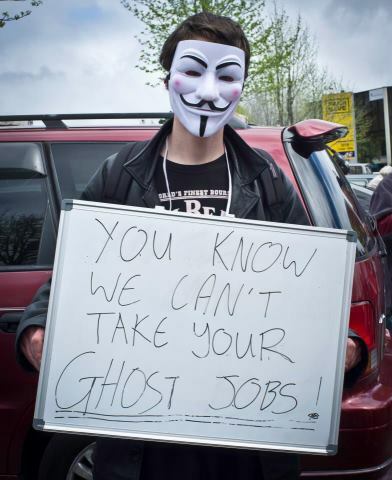 At the time when the multiple breaches of the Employment Relations Act took place in February and March 2012, MUNZ members were on strike and locked out in their battle to stop management contracting out their jobs. In deciding the breach of the Act was deliberate and serious, she imposed penalties totalling $40,000 against POAL. Maritime Union of New Zealand National President Garry Parsloe says the ERA decision places POAL management in an untenable position. He says that now in addition to all the costs of the dispute, Auckland ratepayers are continuing to pay for POAL management’s deliberately unlawful actions. Mr Parsloe says this week at the Auckland Council Accountability and Performance Committee, the so-called Council Controlled Organisation Auckland Council Investments Ltd (ACIL) indicated that they were not responsible for monitoring the costs of the dispute. 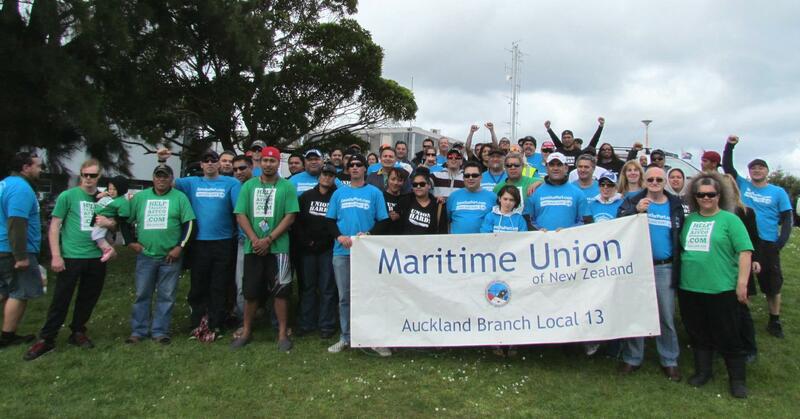 Despite continual legal findings against them, POAL management are continuing (with the support of the Board) to try to remove employment security from port workers, including by demanding a collective agreement that removes all certainty of rostering and even the current guarantee of every third weekend off. This dispute has gone on for too long and has cost too much, it is time for POAL to settle a fair and balanced collective agreement with us, says Mr Parsloe. He says MUNZ members at the Port simply want to have an agreement that provides job security, not sign an agreement that allows their jobs to be contracted out. The CTU is releasing its submission to the Minimum Wage Review. “The minimum wage review is of vital importance as it is an opportunity to address the problem of low pay and its effects on poverty”. Bill Rosenberg said that the comprehensive CTU submission addresses major questions such as research on the effects of minimum wage increases on employment, the gender pay gap, and widening income inequality. The CTU submission on the minimum wage review can be found here. Prime minister John Key sent a letter on Thursday to families of the Pike River Mine apologising for the deaths of their loved ones. His letter admitted that the lack of Government safety regulations, that allowed greedy owners to cut corners to make money, caused the deaths. 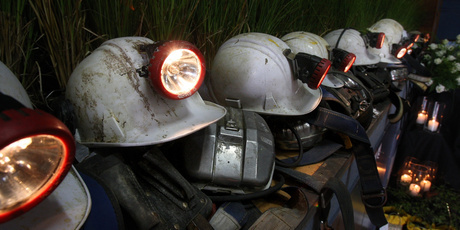 Anyone who has read the findings on the circumstances surrounding the deaths of the 29 workers would be hard pressed to claim it was an accident. Based on the findings, I believe it was manslaughter – or worse. Labour MP Andrew Little, the former head of the union to which some of the dead had belonged, was attacked when he proposed that New Zealand needed legislation where corporates that have their employees or the public maimed or killed through their gross and deliberate negligence should be liable for criminal charges. We have a system in this country that the police tend to defer to labour inspectors when it comes to work-related deaths and injuries. The problem is that there are few inspectors and they are out of their depth when it comes to laying blame where it lies. It seems every death or serious injury is an “accident” where an ambulance picks up the victims. Then it is left to the public hospital system and the Accident Compensation Corporation to pick up the pieces. There’s always some other person to fill the vacancy. I believe the owners and management of Pike River have gotten away with murder. All the families of the miners get is the Prime Minister popping down this week to say how sorry he is and promising it won’t happen again. But it will. Not necessarily in mining, but the same lack of regulation that caused the tragedy at Pike River is rife everywhere. That’s because this Government ideologically believes in less regulation in everything. It looks good on an election bumper sticker but it’s nonsense. In my day job as a union official I have a bit to do with the security industry. 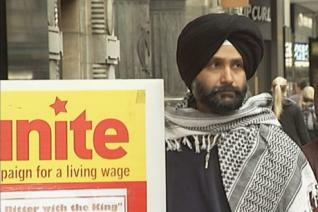 Last year a young man, Charanpreet Dhaliwal Singh, started as a security guard. On his first night he visited a work site. Hours later he was found dead and a man is facing a murder charge. The fact that this young man had no training, yet was sent out on his first night alone, was, in my view, appalling. Our novice was sent out without a torch, phone or walkie-talkie. Was his employer charged? In a rare move, yes, though they have denied failing to secure his safety. The case is yet to be heard. Our union at the time called for regulation of the security industry and a clampdown on cowboy, fly-by-night security companies. What happened? Nothing. Today, any charlatan can set up as a security firm as long as they have a cellphone, a cheap vest and a car. Most businesses are required by their insurer to have security. The cowboys will undercut each other to get any job. They literally employ warm bodies. Very few companies have any training. If a security guard is attacked they have no back-up. Even the established security companies have joined the race to the bottom. They tell me if they don’t compete with these cowboys they will go out of business. I’ve even heard that to save costs their staff are instructed to only go to work sites where a client checks they are there. The rest aren’t visited. Some in the industry treat it like a racket. Security employees who raise concerns can find their hours reduced. I have a current case for a worker who raised safety breaches with her company and has now been “restructured” out of the job. It’s not the same impact as Pike River where so many deaths occurred at once. But on a regular basis security guards are being killed or badly injured. And everyone turns a blind eye. When we raised this matter this week, the minister responsible for this industry, Chester Burrows, professed to know nothing about the problem. Really? If the Prime Minister is genuinely sorry about the lack of safety rules and enforcement by his officials then he can make a commitment not to allow the same thing to happen again. Otherwise his apology to the families of the Pike River miners means nothing and he’s just an empty vessel.